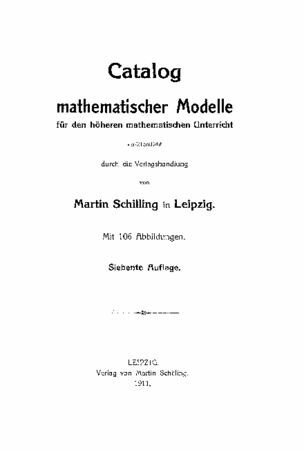 Catalog of the mathematical models available at the time. In original German. Header images from UIHistories Phantasm Photographic Archives.